An American who was dating jailed alleged Russian agent Maria Butina was charged with fraud Tuesday, adding a new twist in the sprawling investigations into Moscow’s meddling in US politics. Republican and National Rifle Association operative Paul Erickson was charged with one count of fraud for cheating investors in companies he controlled that purported to be running assisted living facilities and building homes in North Dakota. He also allegedly cheated investors in a wheelchair design and production company, according to the indictment. In all three cases, he took hundreds of thousands of dollars from investors and used some of it for his personal needs, the indictment said. In addition, he was charged with seven accounts of money laundering for transfers he made using the fraudulently raised funds. 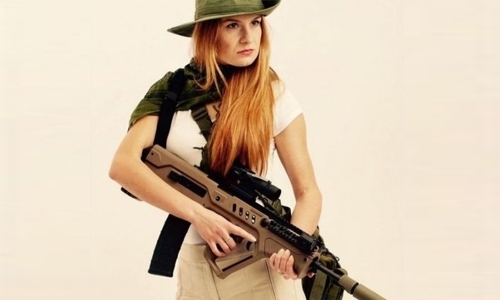 Erickson opened the door to conservative circles for Butina, who built a network of high-level Republican and NRA contacts between 2013 and 2017 before her arrest last year. With her, he arranged for a high-level delegation from the NRA to visit Russia in December 2015, where they met with senior Russian officials. “Butina sought to use those unofficial lines of communication for the benefit of the Russian Federation,” the Justice Department said. Meanwhile, based on the Russian connections he made through Butina, in 2016 Erickson offered to set up contacts between the Kremlin and the Trump campaign. According to US media reports, those actions have raised the possibility that he could be charged with illegally acting as an agent for Moscow, and with conspiracy for his work with Butina. The indictment Wednesday made no direct mention of his relationship to Butina, who is in jail awaiting sentencing. But there were hints of a connection: money transfers to American University, and to “M.B.”, which could be her initials.